The different parts of a house is meant for different activities-such as the kitchen for cooking, bedroom for sleeping. Similarly, the deck is that part of the home that offers a space of living where you can relax with your friends and family. But do you know which type of material you should use for deck restoration? This question has much answer but this article will provide you some details to find out the correct answer. O’Leary and Sons is a professional company willing to help with all of your needs. 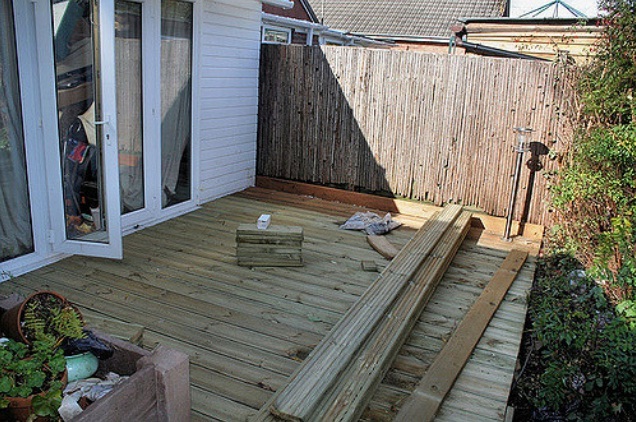 Give importance to your deck and consider it as an important part of your house. People generally give less importance to their decks and think of decks as self-cleaning, when in reality a proper deck cleaning is needed as much as your kitchen floor. O’Leary and Sons recommend inspection for damage, cleaning of debris with a hose, sand splinters, and use a stain remover to lift any grill or dirt stains. The biggest mistakes people make is under preparing their Deck Refinishing Services Colorado Springs before applying stain. Always remove existing deck coatings and start with a fresh surface. A good stiff brush and a deck wash remove stain and wash away dead fibers without hurting the ability of your deck to soak up a new stain. Or use a pressure washer. Follow sequential steps and let the deck be dry before staining step. If you’ve just finished deck cleaning, wait two or three days before you apply a stain. Give a new deck made from pressure-treated lumber several days to acclimate before you stain. When you stain, cover as much of the wood as you can, including the ends. Expert companies know all the things that are needed for deck preservation and maintenance. O’leary and Sons will be there to help with your decking needs and questions. Call today for a consultation!